“The 27-year-old pianist Fabian Almazan is about to release his debut album, Personalities, and it is aptly titled. It features Almazan as composer, one who can write and arrange for films, for string quartet, for piano trio. 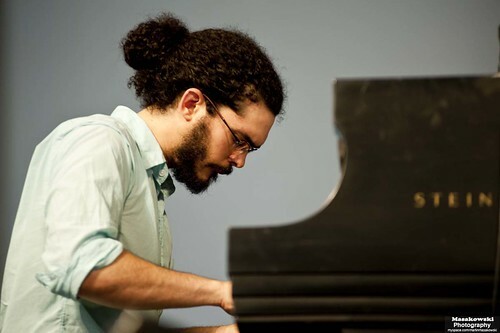 It features Almazan the Cuban-American musician, demonstrating intuitive control over Latin jazz repertoire and feeling. And it features Almazan the modern jazzman, the musician who can play with that flexible, go-anywhere feeling so sought-after these days. See the full article also at this page.